Do not let the scorching heat of PH discourage you from looking fresh and fab this summer. I knew some women, me included, hate piling on makeup during this season. 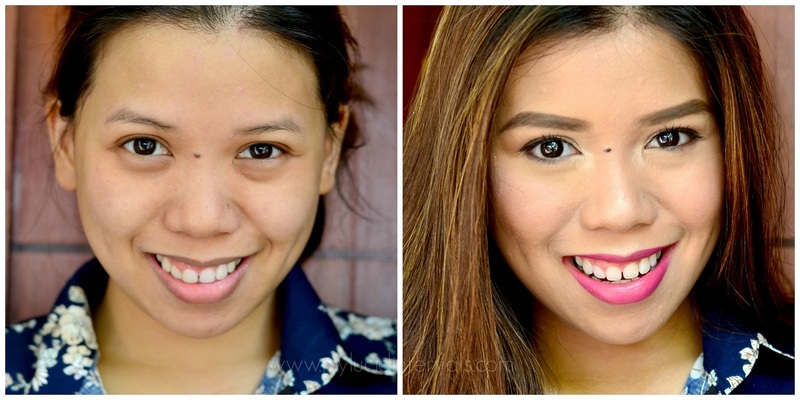 Aside from the uncomfortable feel, some makeup just don't last the whole day. So, I decided to sort out my makeup stash to give you show you some products from Etude House that are perfect for this weather. These are my picks for my summer makeup. Most of these products are very easy to use (finger friendly, no brushes needed for application) and budgeproof. Let me give you a quick rundown on the products I highly recommend from Etude House. 3. Play 101 Pencil in N0.25 - I would have picked up a lip stain to feature on this post but I opted for this pencil. I have dark lip lines and this pencil doubles as a lip liner and a lipstick in one. Yes, that's right!! A lipliner and lipstick in one. I find this pencil very easy to use because it is highly pigmented and creamy. 4. Fresh Cherry Tint Birthday Edition in Cherry Lavender - This has been my go-to blush since my Japan trip. It is long lasting, pigmented and very easy to blend. Compared to my other blush stains, this is very creamy since it is a milky tint. There are times that I skip highlighting because this gives off a beautiful dewy finish on my skin provided that you do not set it with powder. 5. Precious Mineral Any Cushion in Honey Beige - I have dying to try out this product ever since it came out in the market. The cushion thing is very popular nowadays and I can't believe I finally have it in my stash. This is foundation that is amazingly light on the skin but gives off an awesome coverage. This is perfect for summer because it contains SPF 50 and can even give double protection from the sun. It is perfect for everyday wear. It blends very well with the sponge that came with it. It blurs out my pores, covers up my redness, brightens my face and amazingly evens out my skin tone. It is not drying that it why it is perfect for my dry skin. It needs to be set with powder to make it matte because it has a dewy finish. Look at how intense the coverage of this foundation!! 6. Proof 10 Gel Liquid Liner - This has a very slim brush tip making it easy to create a thin line to a cat eye. The consistency of this liquid gel liner is quite thick so you have to shake the tube before using it. The color pigment is great and it stays on my lid for almost the whole day. It does not transfer, does not crack, or fade. It has a nice matte finish to it. There are many shades available at Etude House counters varying from matte to shimmery ones. 7. Bling Bling EyeStick in No. 9 - This can be used alone as a lid color or as a base primer. I love how blendable it is and stays fairly well on the lid even if used alone. I actually like it because it makes my shimmery shadows pop even more. These are the products that I used on my "after" photo above. Doing that makeup took me a bit more than 15 minutes. It is perfect for everyday for that fresh summer look. What makeup product/s are you currently loving this summer? you look gorgeous,i wonder what do you use for your brows..
You shoul try the face shops full stay cc cushion.